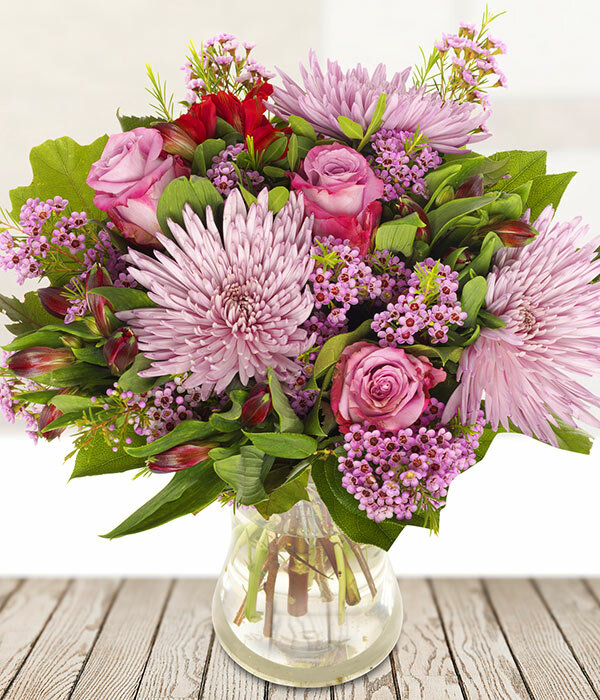 A joyful bunch if ever there was one. 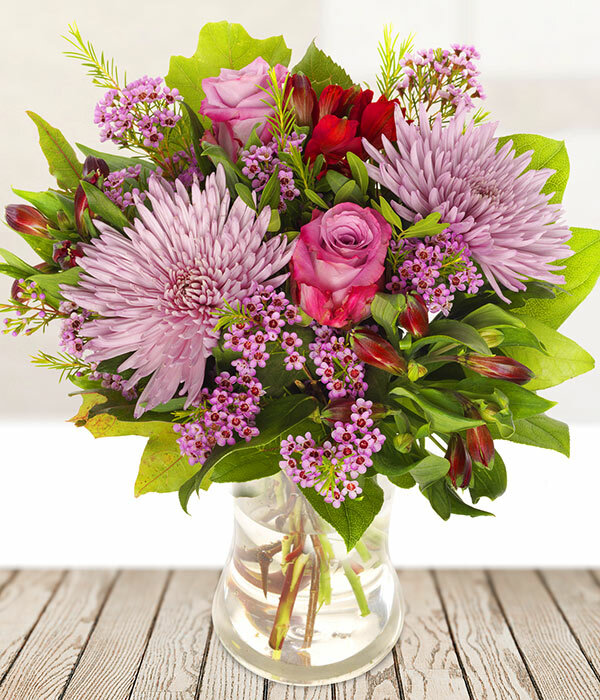 Pink, lilac, and deep red blooms combine to create a stunning bouquet. Featuring roses, alstroemeria, chrysanthemum, and seasonal foliage. 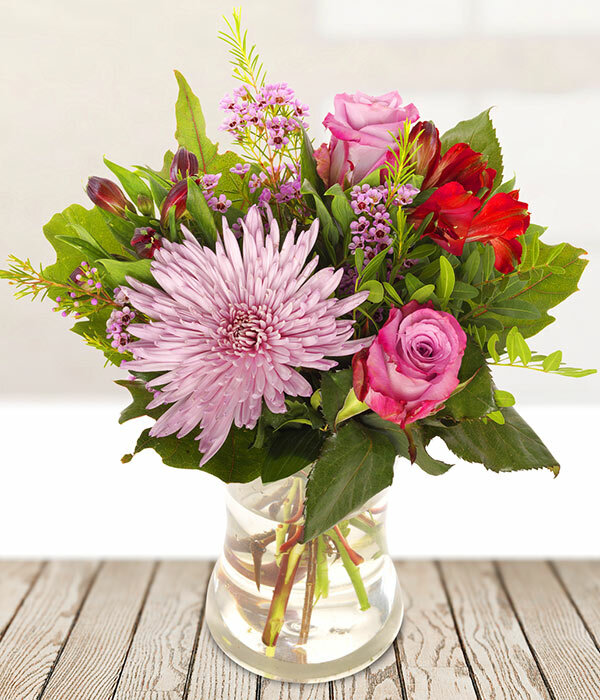 Lovingly created by a local florist and delivered by hand, this bouquet will fill them with joy.